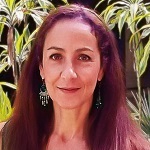 Dr. Mónica Valle-Esquivel, Senior Fishery Biologist - MRAG Americas, Inc.
Dr. Valle joined MRAG Americas in 2010. She has over 15 years of experience in sustainable management of marine fisheries. She specialized in fish and shellfish population dynamics, stock assessment, design and evaluation of management strategies, statistical analysis, risk analysis, and fishery simulation modeling. Dr. Valle worked with the University of Miami and NOAA Fisheries as a post-doctoral fellow, and has provided scientific advice to FAO, CITES, CARICOM, ACP Fish II, and other international organizations for the management of tropical marine species the US, Latin America, and the Caribbean. In Mexico she coordinated a United Nations (UNIDO) coastal management project within the Gulf of Mexico Large Marine Ecosystem program. At MRAG, Dr. Valle has worked with institutions, scientists, fishers, managers, NGOs, and other stakeholders to promote and achieve sustainability of fishery resources around the world. She is a lead assessor for Marine Stewardship Council projects, and has analyzed a variety of fisheries against sustainability criteria, including rapid assessments, pre-assessments and full assessments. She has also acquired ample experience in the development and implementation of fishery improvement projects and fishery management plans, in the design and analysis of fishery indicators and monitoring programs, and in essential fish habitat assessments. Dr. Valle received a B.S. degree in Biology from the National Autonomous University of Mexico (UNAM), and a Ph.D. in Marine Biology and Fisheries from the Rosenstiel School of Marine and Atmospheric Science, University of Miami.